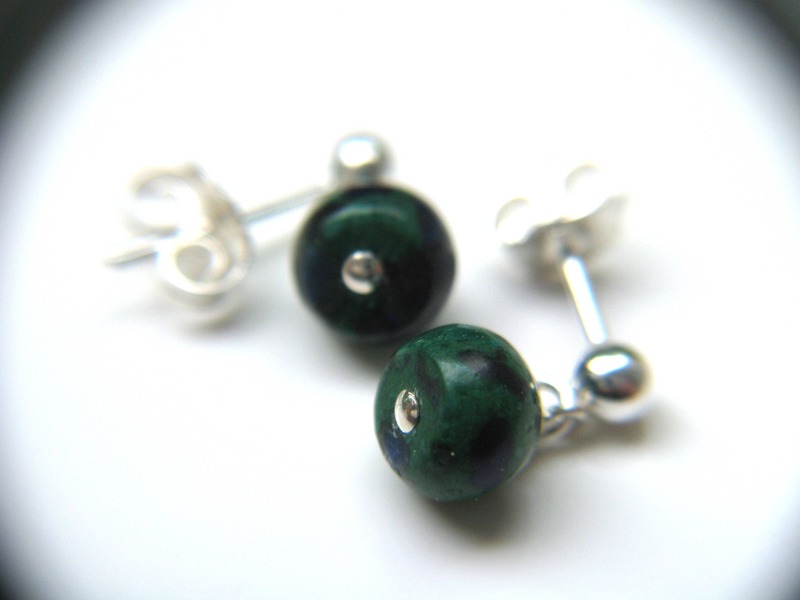 These natural gemstone stud earrings feature 4x6mm Azurite Malachite rondelles wire wrapped in Sterling Silver. 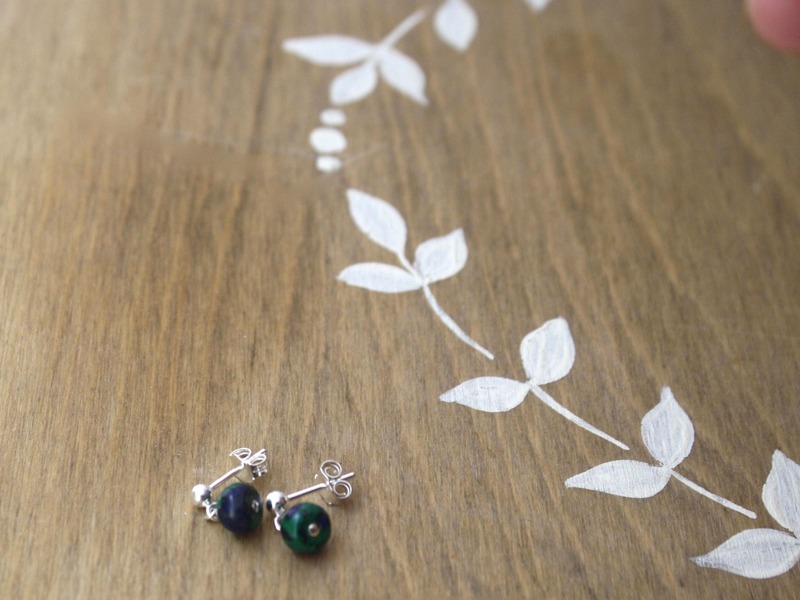 These azurite malachite earrings measure about 1/4 of an inch from the bottom of the drop to the top of their Sterling Silver ball end studs. Stone Properties: The combination of Azurite and Malachite works as a powerful conductor of energy. It is strengthening and cleansing. Item just as described. Very pretty. 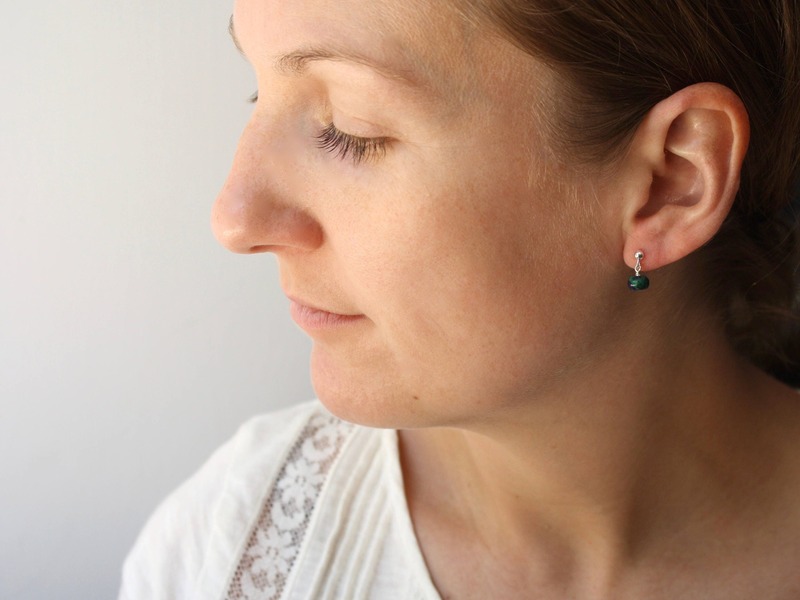 I feel these earrings are like wearing a piece of the earth on my ears. Such beauty in little clusters. Amy Peach Queen, you never cease to amaze me. 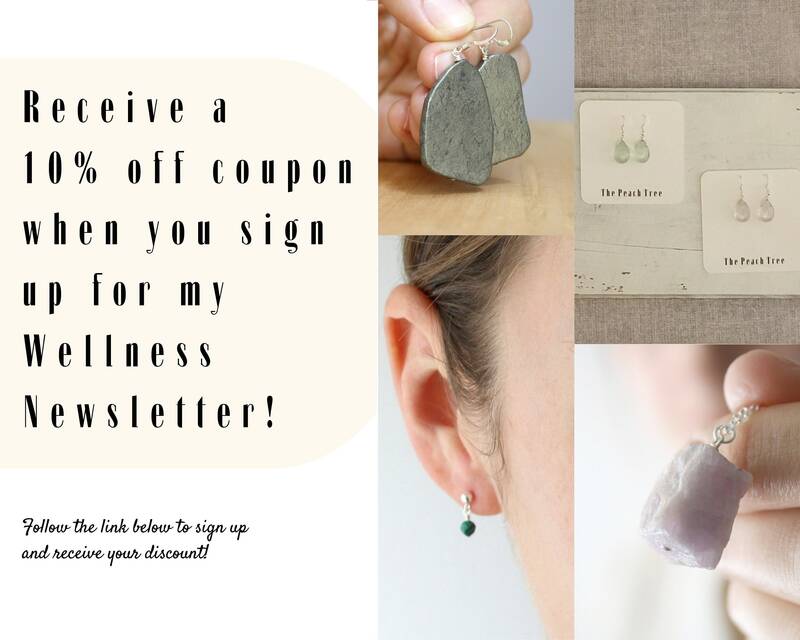 FAST and FRIENDLY service and as always-beautiful jewelry!